The rainy days are here! But don’t let that stop you from having more fun in the Philippines. There’s so much to do in the islands even when the glorious sun is playing hide and seek in the clouds. What’s the most fun thing to do while it’s raining outside? Eat! Filipinos love to eat. And you’ll find yourself adapting this love for food (if you don’t feel it already) a few hours after arriving on our shores. 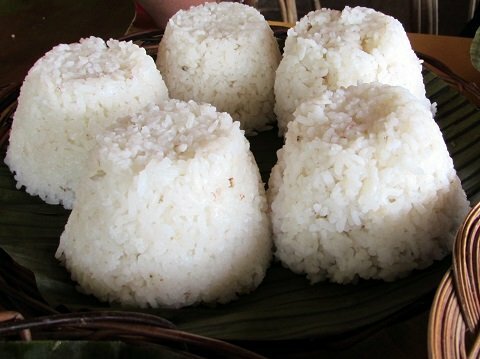 Filipino food is slowing conquering the world; with influences from different cultures, we can only expect you to love our savory dishes, yummy desserts and even our simple fried food. 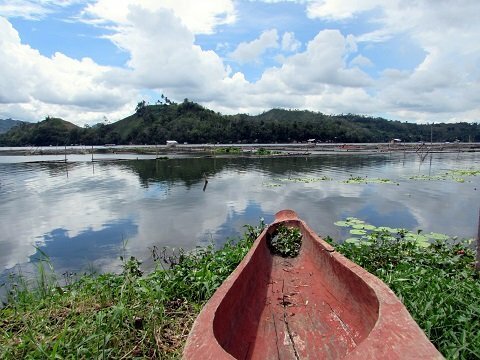 Lake Sebu is one of the country’s most popular nature adventure destinations. With ziplines that allow you to “fly” over multiple waterfalls, it’s hard not to be tempted. But the ride’s just not safe when it’s raining. I’m not even sure if it’s allowed. If you want to know more about the zipline in Lake Sebu, you can read about it here. 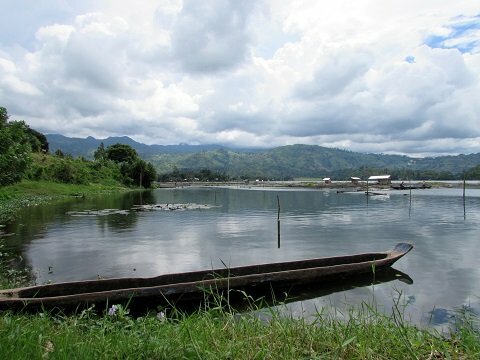 But Lake Sebu is not just about the waterfalls and ziplines. Since it’s a huge lake, there’s plenty of fish to come by. 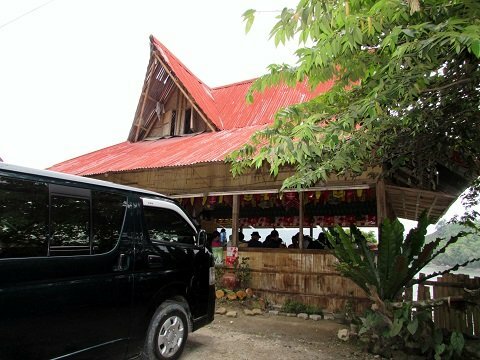 It’s a thriving business in the area around the lake, making food in Lake Sebu something to look forward to aside from the thrilling rides. 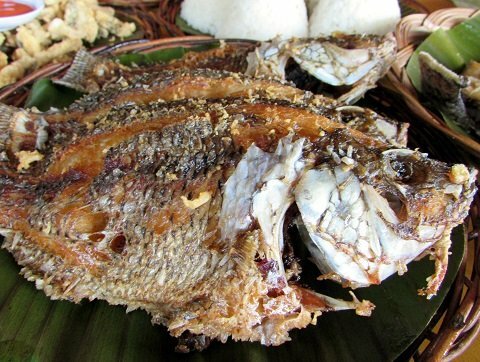 Food in Lake Sebu revolves around the area’s staple: tilapia. Of course there are other dishes aside from the variety made from tilapia but the fish is as fresh as it gets here. There are a lot of restaurants that line the banks of the lake; there are even a number set up in large boats. After I experienced the most thrilling zipline ride of my life in the Seven Falls Eco-park, we decided to fill our grumbling stomachs with the lake people’s pride. A good habal-habal driver pointed us to the general direction leading to the restaurants and told us to follow our noses. We would have gone farther to Punta Isla, the most popular resort/restaurant in Lake Sebu but it was beginning to drizzle so we decided to base our choice on the view. We settled for a small “dampa” with a great view. Unfortunately, I don’t remember the name of the restaurant; it was raining and I was too starved to notice anything aside from the view and the menu. And what a view we had! We ordered everything tilapia. From experience, I know nothing beats freshly caught tilapia. First, ordered a heap of rice. Yes, a heap! And we added another heap after we finished the first batch. Then of course we had my favorite fried tilapia. It was so crunchy on the outside and so soft inside. The sweet meat just melts in your mouth! 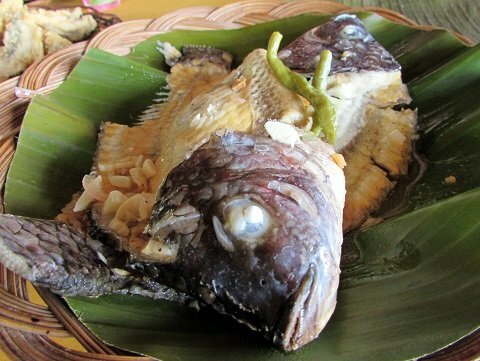 We decided to try the chicharon tilapia which I think is a unique food in Lake Sebu. Chicharon is normally pork rind deep friend to a crisp. But chicharon tilapia is quite different; it’s kind of gooey because it is basically tilapia fillet dipped in batter then deep fried. The chicharon comes in combo with paksiw. The rest of the fish (after the fillet is removed) is cooked in vinegar and spices. It had the perfect tangy, sour taste that reminded me of my grandmother’s cooking. 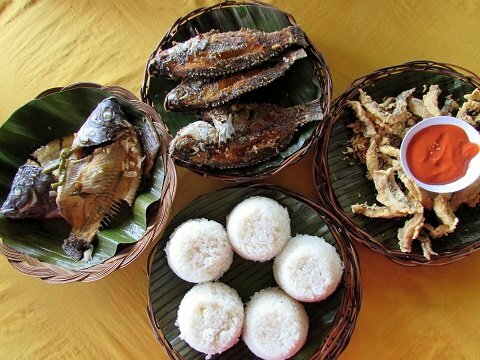 The tilapia dishes were offered at P200 a kilo. Each kilo had at least four pieces of tilapia so we were pretty much stuffed with a kilo for each dish served. We didn’t order anything else but they had Filipino classics like caldereta, tinolang native chicken and pinakbet, among others. 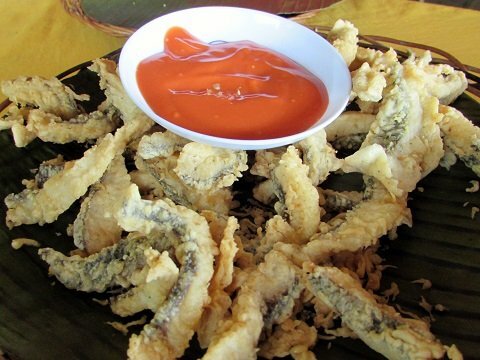 We had a lot of fun with the food in Lake Sebu, probably more fun than we had on the zipline. But then again it may be a tie. 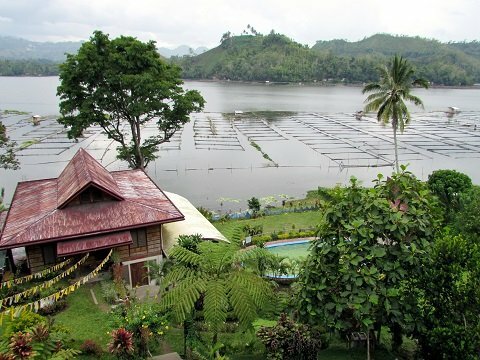 If you happen to travel south this season, do drop by beautiful Lake Sebu and try their food. And if you, ride the zipline too and let us know which was more fun for you. See you around!